I'm sorry, but I don't agree...Blame the seller. They are the ones pricing it. Just because a coral is cool doesn't make it rare. Just because a coral is rare doesn't make it cool. I hate when sellers add rare to things like common acans or certain zoos just to double the price. Do you know how much that awesome blue, purple, orange, pink, green, and red acan cost the importer? Same as the red and grey one. If you can't blame the exporter, the importer, and the wholesaler, there are only two places to lay blame: the retailer and the consumer. Higher price lowers demand (for most products), by the rules of economics 101. Demand decreases as price increases or supply increases. I don't want to buy the Jendubs Acan for $800 per polyp, but I would buy it for $20 per polyp. By this reasoning, your assumptions are a little off-based. I will not go on a rant (like I sometimes do), I'll just leave it at this: blame the retailers as they are the ones up-pricing all these items. It's really sad to see there is no price gouging laws for corals and livestock. To see a pair of picasso percula clownfish now selling for $500 when they buy them from ORA for under $50 each is absolutely disgusting. Stop the destruction of our hobby by buying from people with ethical practices. Would this woman buying a $1000 dollar purse still buy it if it were $10? Rarity can increase price, color can increase price, but promotion and hype should not. People should not be able to make a 500%-1000% profit on something they got so cheap they could almost laugh. I'm sorry to be the one to have to tell you this but the Jundub lord is both rare and nice looking. That is the reason for the price. If I had that kind of money I would buy it. We have heard your speach a thousand times from a thousand other people here on RC. Usually from people that don't know their corals very well. You want to talk economics lets get down to basics. Supply and demand. There is a very high demand for this lord. There is no other source for it. Can you come up with a pink lord like that? Don't forget that it can't be a bleached red one. I wish you good luck if you can find one for the $20/polyp that you are willing to pay. There is nothing wrong with being cheap but don't go around telling everyone else they have to be also. This is a hobby. Some people are into the rare collectable part of this hobby. There is nothing wrong with it. Do you yell at the guy that is willing to pay $200 for a piece of paper called a baseball card? No. Why not? That guy likes what he is buying. He thinks he is getting $200 worth of happiness. I'm not sure why so many people think rare expensive corals are bad for the hobby. These are captive propogated corals. This is what we should be striving for. People buying corals that are 100% grown in captivity. If in takes a different part of the hobby to spur more interest in these coral then so what. It is good for our reefs. Some day this is all you will see and all the common corals like green slimer will triple in price. Nothing wrong with it. The things grow. It is not like paying $500 for a fish that won't breed. Someone pays $600/polyp but in six months or so they can make their money back plus some. I don't see where anyone is getting ripped off. Visit Al G Blenny's homepage! Sometimes people cant leave others alone, usually the ones that are jealous of people that can afford to buy this stuff. Get over it, its just a coral, there are people spending thousands on drugs, guns, alchohol & gambling, complain about that!!!! My bad. I thought it was illegal to have in your possession any non indo coral. In every case, the people were in trouble for exporting them. WIth that said, if you come across one, let me know. I would love to buy one too! Hey, don't get me wrong, I understand why dendro's are more expensive than sun's. I understand why pink acan is more than red acan. I understand rarity and I understand commercial gain and profit. I'm not saying I would only pay $20 for a nice coral. I'm not that interested in acans myself and to me, I would not buy THAT acan for $800/polyp. I also would not pay $600 per polyp of orange envy zoos. I'm not saying corals cannot demand a price, I'm saying they should not demand such an absurd price. Because someone can get away with it doesn't mean they should. I also understand that it's all about when and where you are. I've been involved with businesses on almost any level and my severe distaste for what happens in some of them still runs deep. I especially see it here too often. Too many times someone gets a score of a deal from somewhere and then comes right back here to pay their rent for the next year. On top of that, most are not considered retail and therefore get away with it without paying taxes, without any guarantees, and without an ounce of integrity. If you bought a polyp for $800, then by all means make a little money off the first few babies that sprout. 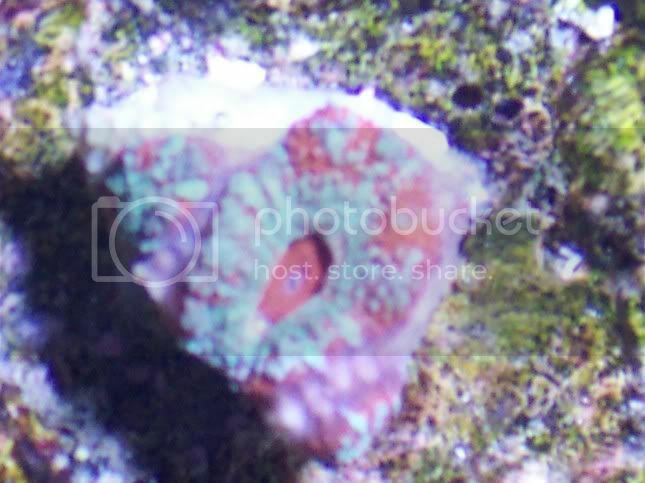 But come on, when you "find" a 30 polyp piece in some store for $100 and you realize it's a nicer coral, either hook your fellow reefers up or keep it for yourself. don't break off polyps and sell them for $500 each. I understand a product is worth what someone will pay, but if people stopped always thinking about themselves and their profit, this hobby would be much more open to other people which would increase production and aquaculturing of these "rare" corals and would only help our efforts. You talk of saving the ocean, but that means giving up some financial opportunity and allowing these rare corals to continue to propagate, not upping a price so only certain people can help the ocean or gain from this coral. By the way, I'm not one of those cheap reefcaretakers that tries to get away with brown corals and creates a tank for as little cost as possible. I have spent countless thousands of dollars on my 6 reef setups. I have bought many hundred dollar frags. That being said, I would never charge what some do for the same exact thing. I also try to give free frags to friends and club members and try to help out any newcomer get started with some corals. I would rarely ever sell a coral per polyp for more than I paid per polyp. I'm a big believer that if everyone charged less than they bought it for, every coral would be thriving right now and everything would be as cheap as possible for all of us reefcaretakers. I challenge everyone to try this: if you buy a polyp for five bucks and it turns into three, sell the other two for four bucks each. You've made your money back, you've helped the hobby, you've given others the opportunity to continue to make this hobby thrive, you've done well for our oceans, and you made a little bit to help pay for the cost of raising it(although keeping coral alive and healthy should be reward enough in itsself). Two fish are sitting in a tank...one looks over to the other and says, "I hope you know how to drive this thing!" Seems like people purposefully keep corals rare so that they can profit off of others expense. Remember when regular acan lords were $50 per polyp minimum, and more like $100? Then people started realizing they are not so rare and they grow really fast and they are very hardy animals...then someone started selling them for $40 per polyp...then someone started selling them for $25 perpolyp...now the common ones are nearing $3-5 per polyp...seems to have made everyone happier except the retailers who cannot make a killing on a coral that cost them next-to-nothing. Shall I get your sickle and hammer ready for you? If any of you "crap" talkers can come down off your high horse, I'd like to ask you a few questions. 1. Does anybody have any clue what Jendub paid for the original piece? If not, then don't slam what she's charging for a frag of it. 2. Are any of you aware that Jendub is beyond the "hobbiest" stage & considers her frag business as a legitimate business? People are ranting on here how people in the hobby shouldn't charge the prices they are charging. If they are beyond the hobby stage, it's business. And who out there doesn't want to make the most of thier business venture. I mean does it really cost Bill Gates $50 to burn every single CD of the newest version of Windows. Yet no one seems to have a problem with the fact that they guy is worth 922 billion dollars from selling software. Why shouldn't someone from the "Coral Propagation" business be able to make a nice living? Jen & Charles are friends of mine & put tremendous amounts of work & MONEY into thier business. They've spent countless hours aquiring rare frags. Many times the frags don't show the characteristics they develop when they first get them, but through thier knowledge & labor, they turn out to be masterpieces. Shouldn't they be able to reap the rewards for that?? Funny, I sold SPS frags in the selling thread, & a couple happy buyers posted good feedback for me, & it was immediately deleted. Like I said, this is the USA, people can buy & sell what they want for whatever they want, period! There are too many threads to keep up on, we rely a lot on reporting threads.